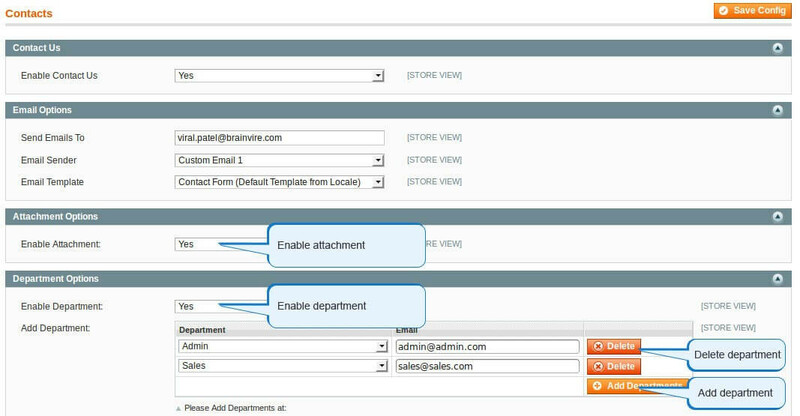 Magento Contact Form Extension provides you the facility of selecting departments to which you want to send the mail and lets you browse and upload the image; both the things in the contact form itself. 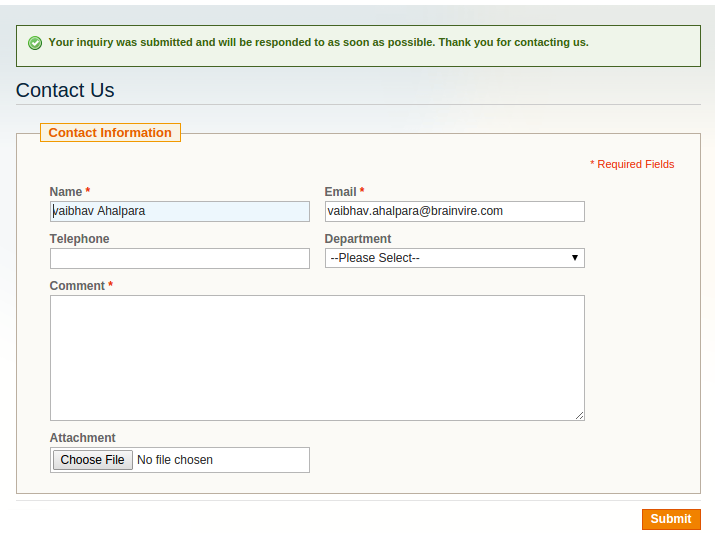 In order to make the enquiry easy and quick, Contact Form Extension for Magento has been developed that gives you the privilege of uploading an image in the contact form which can be sent as an attachment in the email. 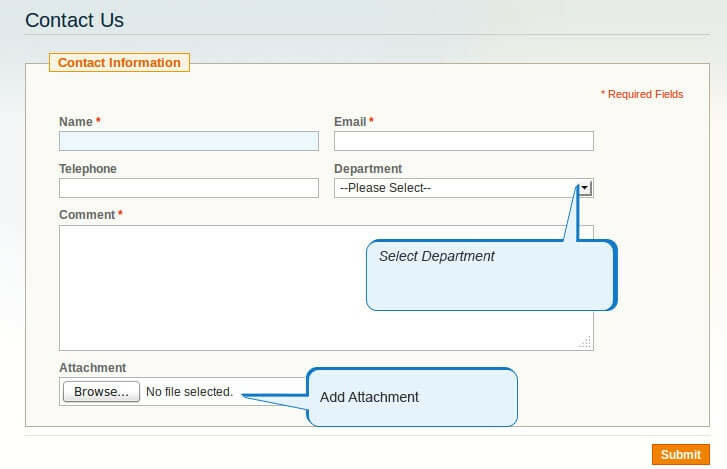 In addition to the upload facility, Contact Form Extension gives you an option to select the department and add more departments along with their respective email addresses to send the mails to multiple departments. 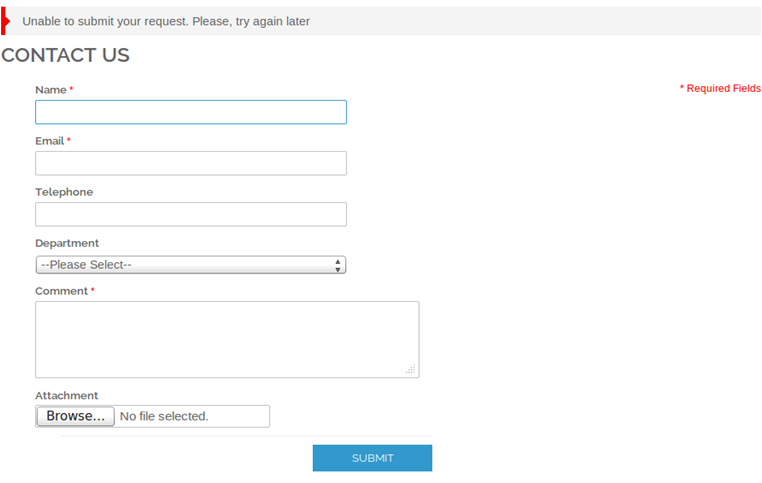 User can upload image in the contact form. 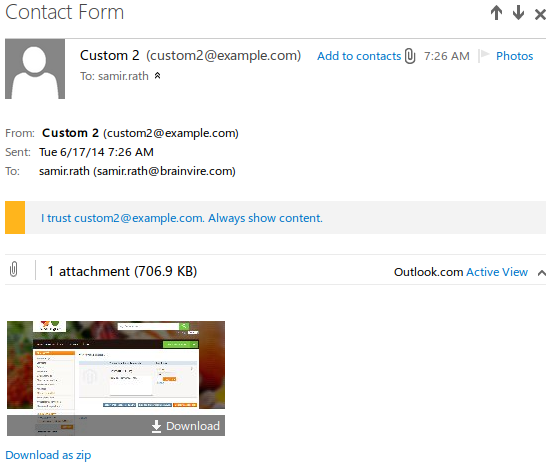 Image uploaded in the contact form is sent as a mail attachment.